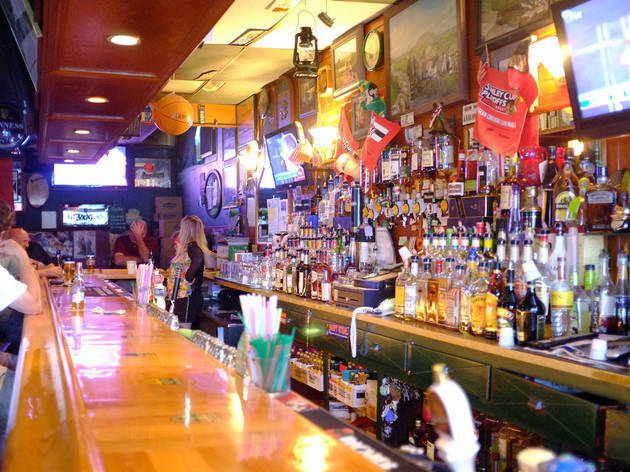 Local dive bars dominate the bar scene in Portage Park, each with a bit of its own distinct flair. 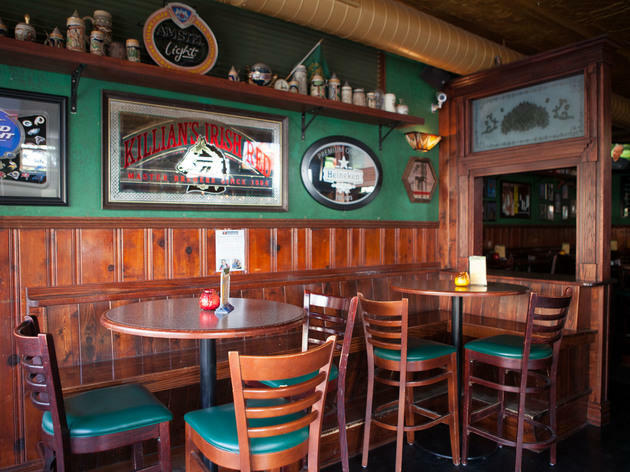 Whether you want to hang out in a beer garden or are craving particularly good pub grub, you'll find a reason to spend an evening at these nieghborhood watering holes. 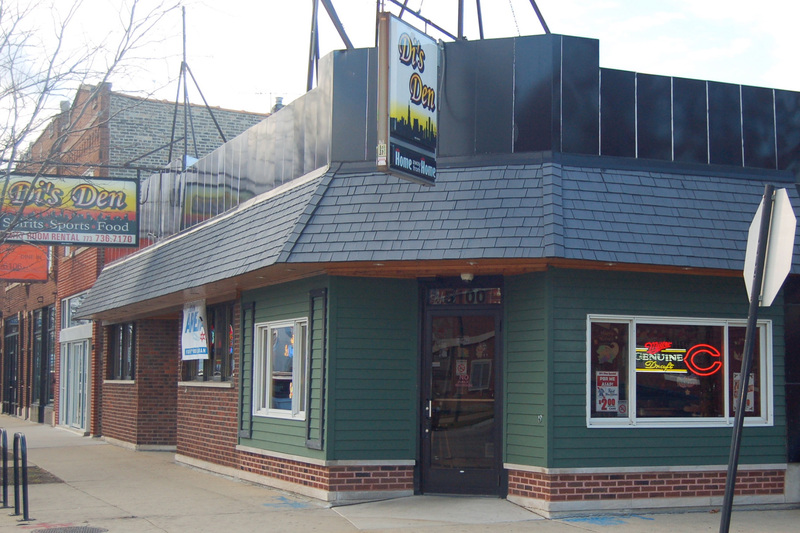 Take a look at our guide to the best bars in Portage Park. 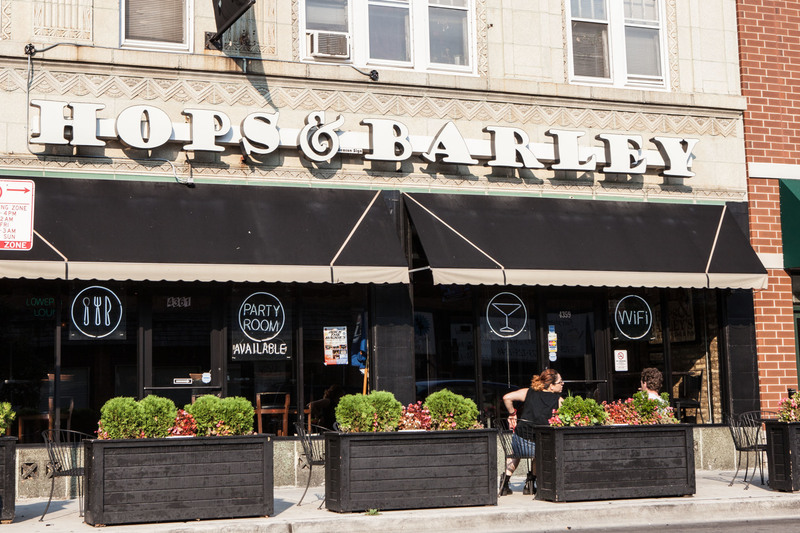 It’s sleepers like this wood-clad corner pub that make bar-hopping worthwhile. 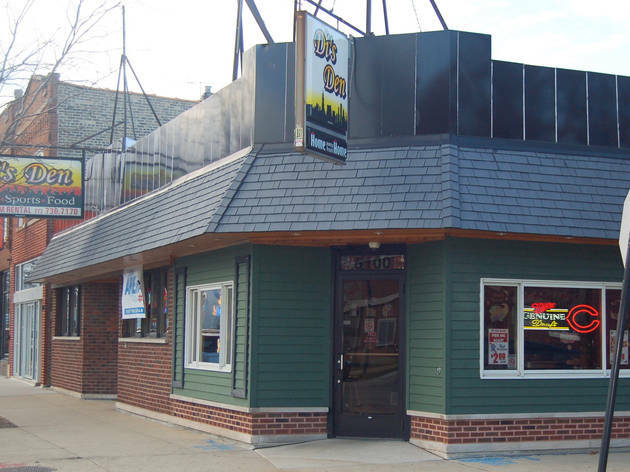 Friendly staff and a great beer garden certainly help (well, the latter does in warm weather), but it’s the darn good food that seals the deal. Fish tacos and juicy burgers frame the eclectic menu, but take a look at what the locals order. Yep, that’s ceviche—perfect with whatever draft is on special that night. 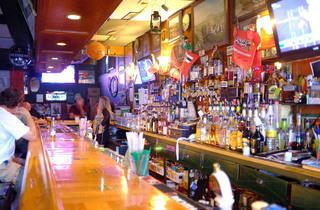 Neighborhood bars are as rampant as drunks in Wrigleyville, right? So why make this one your hangout? Because your current ’hoodie doesn’t have exposed wood beams, brick walls and wrought-iron chandeliers. The menu alone, which offers a good selection of nicely presented salads and sandwiches, is reason enough to become a regular. 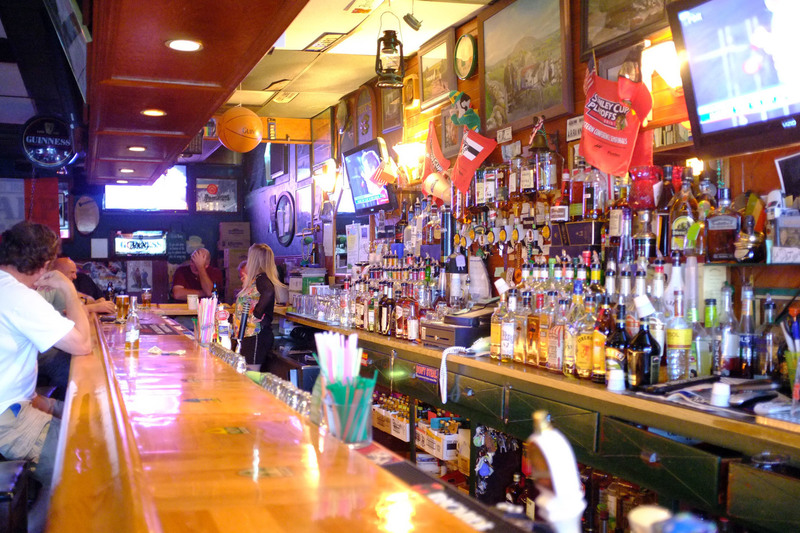 This two-room darts bar seems excessively spacious relative to the sparse clientele on a Saturday night, but it's rumored to draw a big crowd for the blind-draw darts tournament at 9pm on Fridays. Don't expect much excitement during the rest of the week, unless cheap PBR and a Golden Tee golf game is your idea of a good time, which, for many regulars, is exactly that. 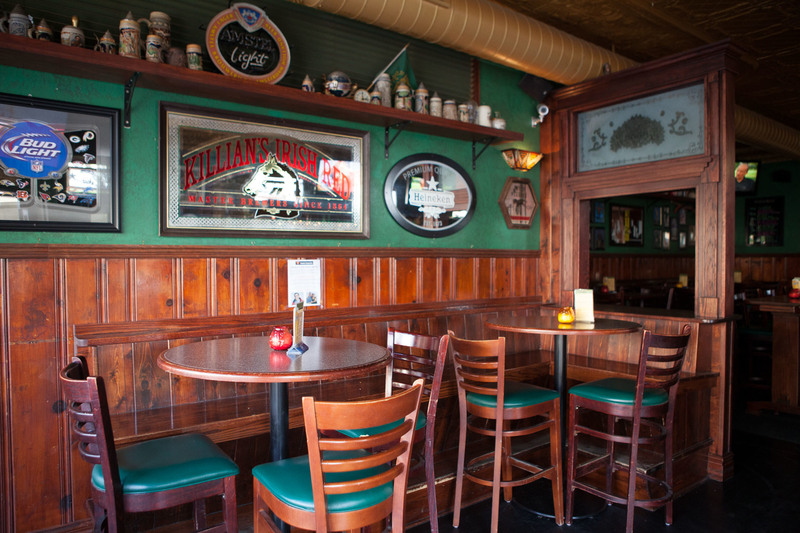 If authentic Irish can be defined by the lack of outwardly Irish stuff, then this Portage Park corner pub hits the mark. 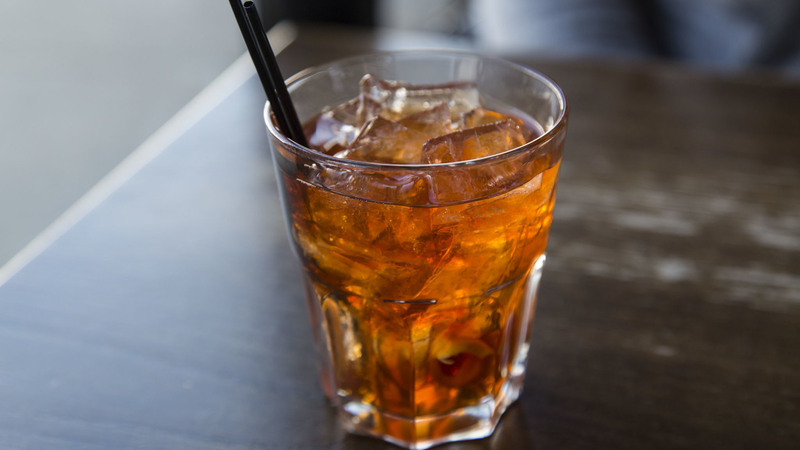 During the week you'll find local dudes draining pints at the bar, but the weekends see younger crowds clogging up the aisle and the adjoining room. Live entertainment amounts to covers by soloists and the occasional scuffle. 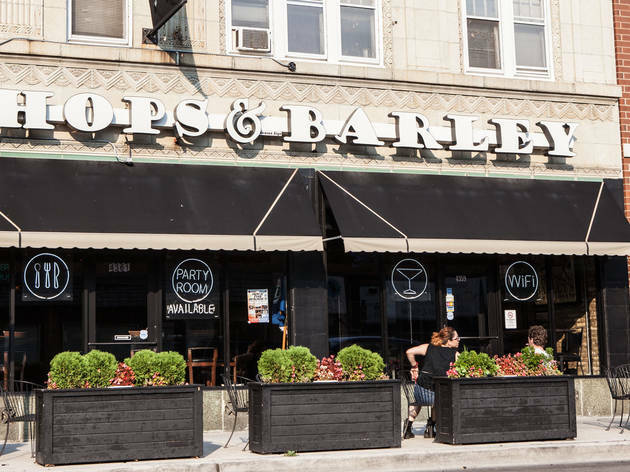 This no-frills Portage Park bar may not be at the cutting edge of pub grub or drinks, but it serves a solid old-fashioned (accompanied by some pretzels). 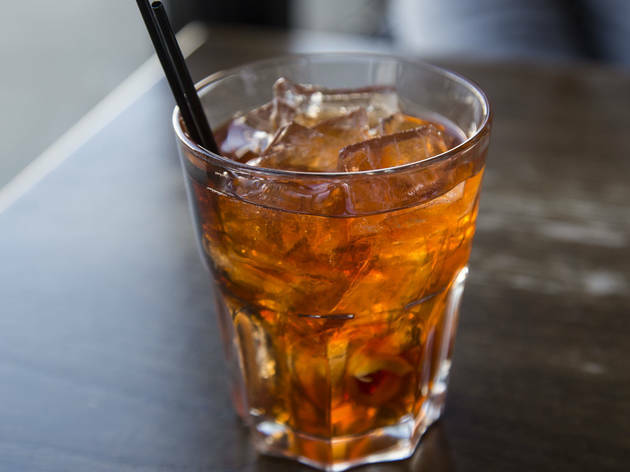 Strike up a conversation with the bartender with a Half Acre Daisy Cutter in your hand or grab a seat with a friend at a high top—Sutherland's is a great spot to hunker down for a cozy chat.